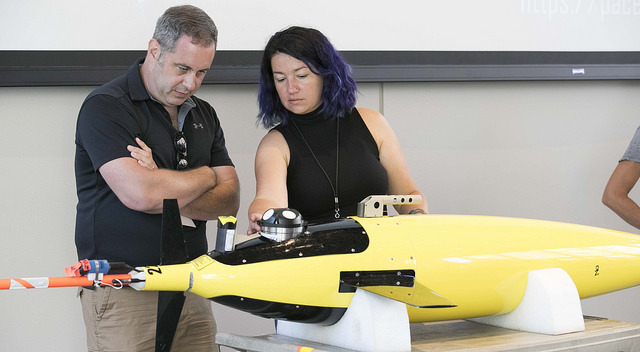 EXport Processes in the Ocean from Remote Sensing (EXPORTS) is a large-scale NASA-led field campaign that will provide critical information for quantifying the export and fate of upper ocean net primary production (NPP) using satellite observations and state of the art ocean technologies. 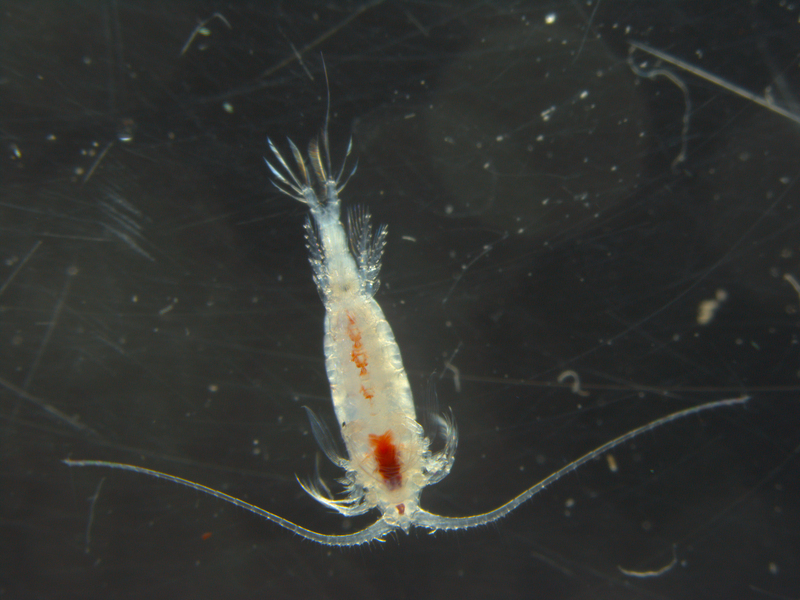 In the upper sunlit ocean (or euphotic zone), the ocean teems with microscopic organisms known as phytoplankton that provide food for zooplankton - tiny oceanic animals. 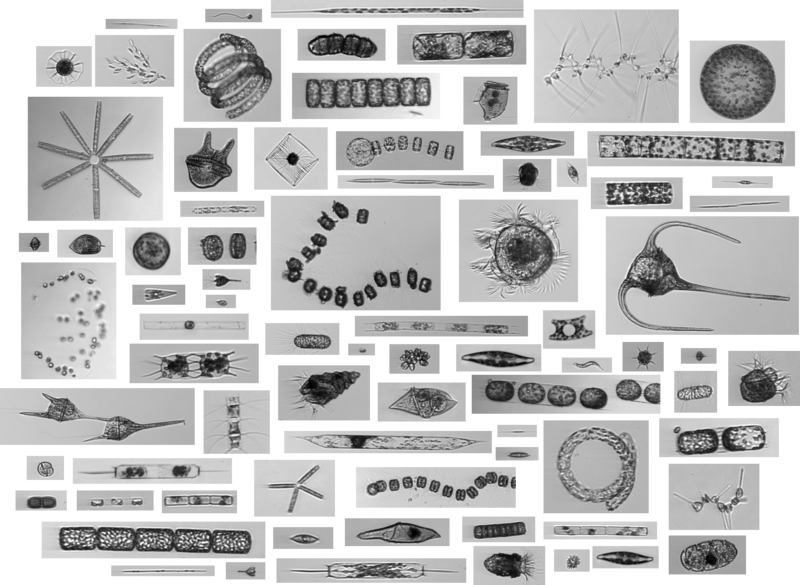 Some of the phytoplankton, the zooplankton, and their waste products are transported from the surface of the ocean to the deeper, dimly lit "twilight zone", taking the carbon they are made of with them. Some of that carbon will eventually make it to the deeper ocean interior where it will remain for time scales of months to milliennia. 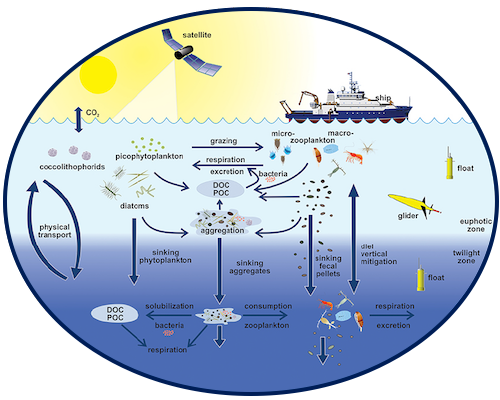 The EXPORTS conceptual diagram illustrates the links among the ocean's biological pump and pelagic food web and our ability to sample these components from ships, satellites, and autonomous vehicles. Light blue waters are the euphotic zone (EZ), while the darker blue waters represent the twilight zone (TZ). Learn more about the scientific of EXPORTS on our About page. This short video made by EXPORTS own Colleen Durkin illustrates the biological pump. 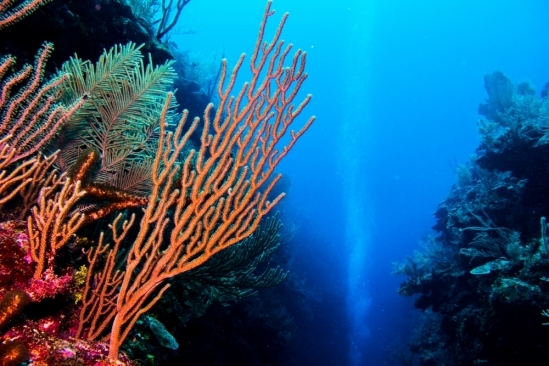 In its simplest form, the biological pump is the mechanism that sequesters carbon from the atmosphere to deep sea water and sediment. 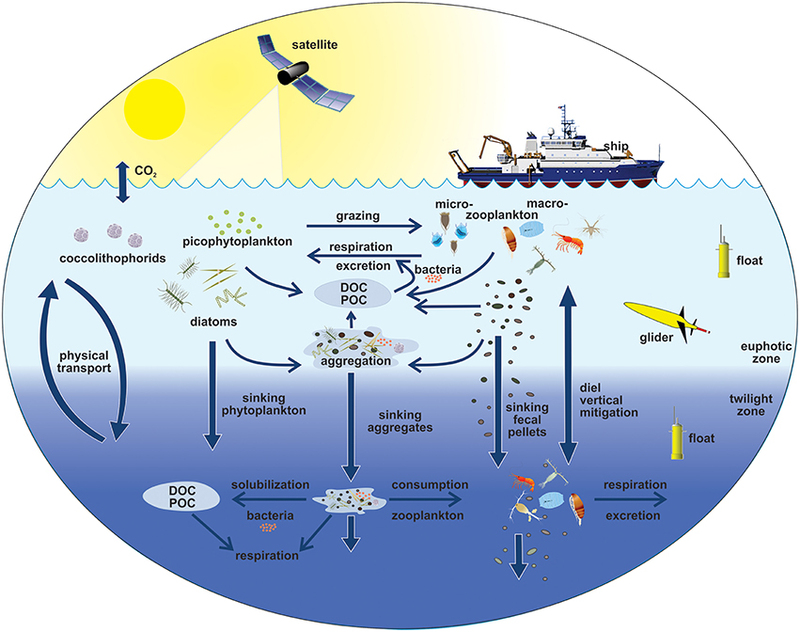 It is the part of the oceanic carbon cycle responsible for the cycling of organic matter formed mainly by phytoplankton during photosynthesis, as well as the cycling of calcium carbonate formed into shells by certain organisms such as plankton and mollusks. Explore our information page to learn more. Synthesizing Optically and Carbon Export-Relevant Particle Size Distributions for the EXPORTS Field Campaign. Linking remotely-detectable optical signals, photic layer plankton properties, and export flux. 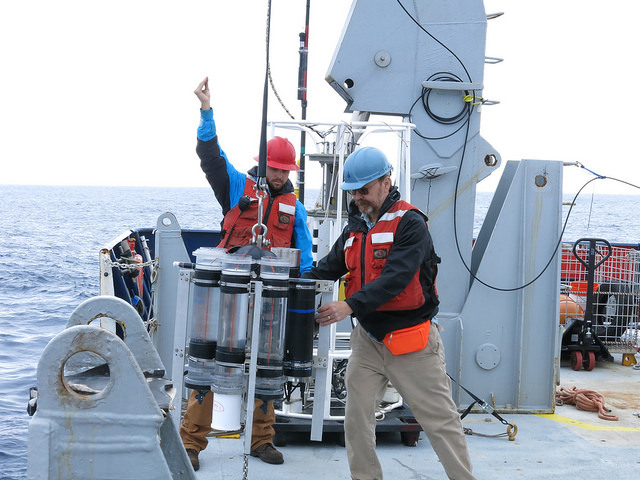 We're in Seattle talking to scientists as they prepare to depart on the first leg of the EXPORTS research cruise to the northeastern Pacific ocean. 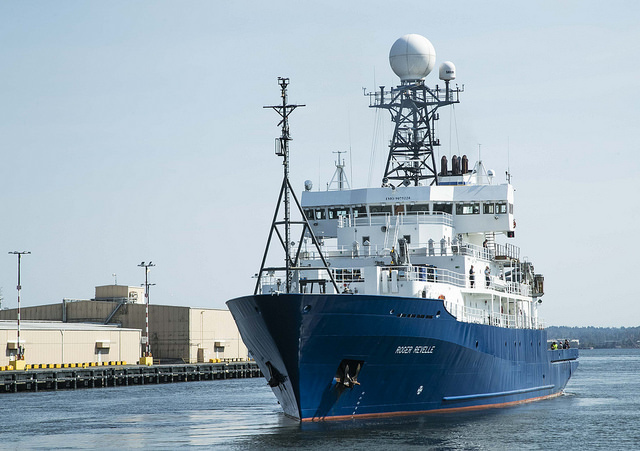 EXPORTS is a revolutionary scientific undertaking by NASA and the National Science Foundation to understand the carbon cycle and the fate of carbon in the deep ocean in order to predict future climate conditions. 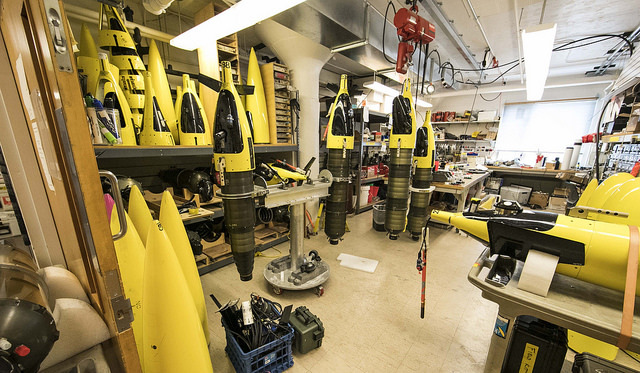 Planning for the expedition has been going on for over a decade to coordinate 100s of scientists, satellites, remote underwater vehicles, and two research vessels. 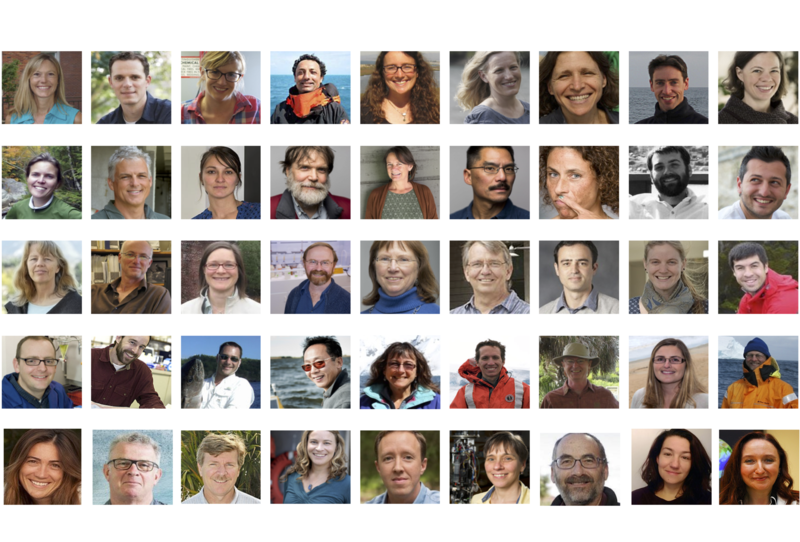 We talk to researchers about tracing carbon and the use of color and light in understanding the flow of carbon through the marine food web. 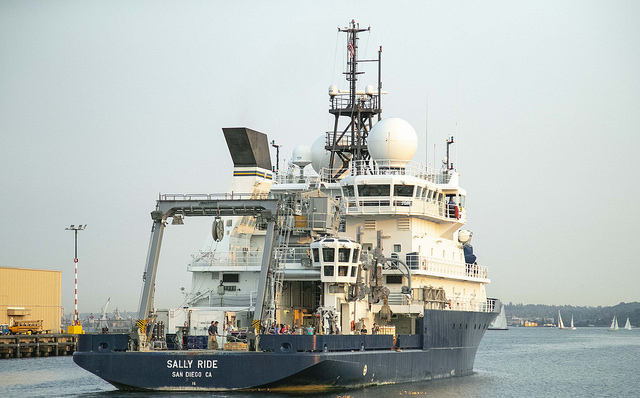 We also learn a bit about what it’s like to spend a month at sea—living aboard the Sally Ride.